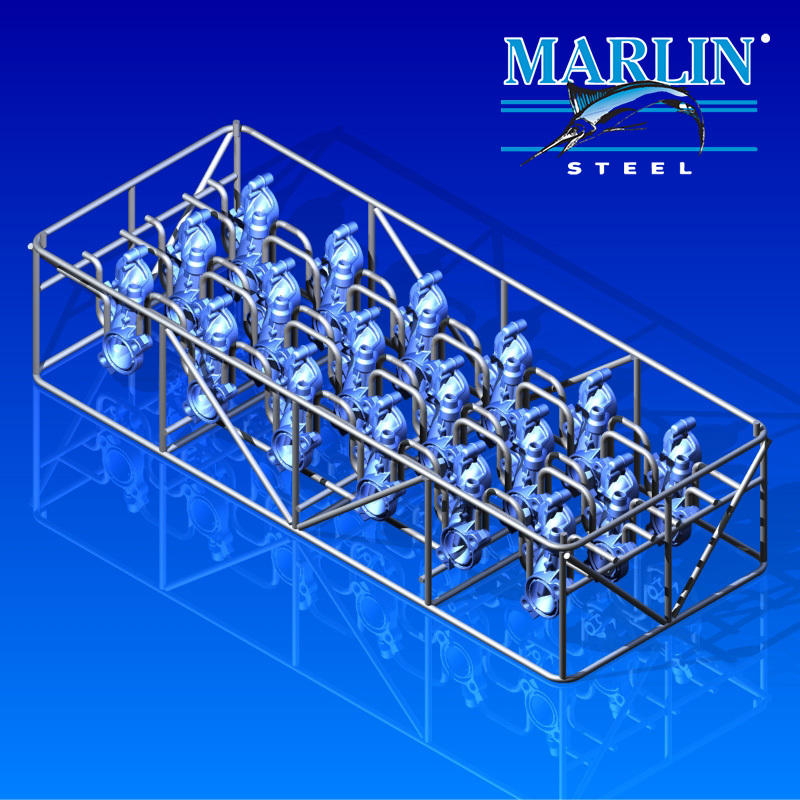 Whether you come to Marlin Steel for a brand new custom basket design, or you have an existing design that you need manufactured, Marlin Steel’s team of engineers and production specialists is dedicated to making the best basket for your needs. This basket, which was based on an existing design, was modified from the original when it was discovered that the original design had a flaw that could cause damage to the held parts. The redesigned basket was able to hold up to 18 parts at a time securely. Weighing in at 20 lbs. and measuring 34.01” long by 13.43” wide and 7.48” deep, this big basket is a heavy duty design that can hold big loads of heavy parts through a complicated finishing process with a minimum of obstruction. The basket was made to be extra heavy-duty to support the weight of another fully-loaded basket being stacked on top as well, with four small pegs sticking out from the top of the frame to hold the upper basket in place. Find out how Marlin Steel can build you a better parts washing basket with quality engineered quick®!